Blogging is the thing many people do as their full-time job, myself included. But I am very annoyed to see that almost every newbie starts a blog on either “blogging tips” or “technology” even if they have zero knowledge of those subjects. They can’t ever reach the level they want to even after several months/years of devotion. The problem is that they are not starting anything new. Today, I am going to share my 2 years of experience blogging and earning money as an Amazon affiliate. I earn around $3000-$4000 every month from affiliate marketing, and there are hundreds of Amazon affiliates who are earning more than me. I haven’t seen a very good guide that covers those basic and crucial things which will help you to make money as soon as possible, so here’s my shot at doing that. Sure, it takes a lot of time and dedication to make a blog successful, but what if you don’t know what you need to do to get this affiliate marketing thing to work? You will work really hard at doing the wrong things. Here I have brought you some of the best tips on Amazon affiliate marketing that you won’t find anywhere else. And most importantly, these tips actually work. What niche should you choose and how to find whether it’s profitable or not? Affiliate marketing is simply promoting products of other companies who pay you a commission every time a sale is made through your link. Amazon affiliate marketing is the same. 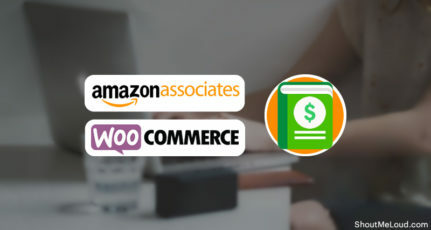 In fact, Amazon associate is the mother of affiliate marketing programs, and in my opinion, is the most reliable solution for earning money online. Amazon has different branches all over the world and you will find a variety of products like books, electronics, household items, software, etc. This makes it a perfect merchant for all niches. Choosing a profitable, low competition niche is quite difficult even for many established bloggers. And for newbies, they may have virtually no idea how to find one. But as Amazon has a vast variety of products, it’s actually pretty simple. Make sure you have an interest in the niche you want to promote on your blog. 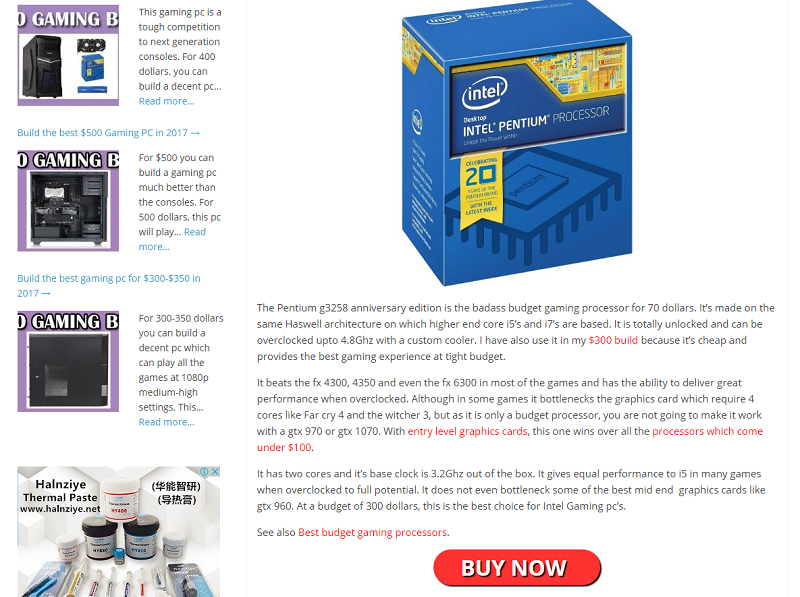 When I started my first blog in Feb. 2015, I didn’t do any research, but I was fond of gaming and computer parts. So, I just started my website on that. I had no idea about writing good articles and doing keyword research, and I made a lot of deadly mistakes that caused me to delete my whole blog multiple times. But as my interest kept me writing articles on the niche, I stayed positive. If I had started writing on fashion design, simply because it’s a profitable niche, surely I would have failed miserably because of my lack of knowledge and interest. But what if you have knowledge in a field that doesn’t have a product sold on Amazon? When I made my first blog successful, I started another Amazon-based website that was related to furniture. I don’t know anything about this niche, but money is my motivation here. When you find a profitable niche, then you will automatically start writing on products you don’t even like. But because you’ve learned that you like blogging, you can learn how to overlook the lack of interest in the niche. This will make you more knowledgeable in that field as well as help you earn more money. But this is not recommended for newbies. The trick here is discipline. It’s better to give this one a shot after you’ve already built up a successful blog around a niche you like, otherwise, as pointed out above, you will fail miserably. Note that every niche will have some competition, but these niches are not so saturated at the moment. Pro tip: Always make notes of a niche you are going to start before posting your first article. Ranking is getting tougher as bloggers are emerging in every field every day. Know that it can take several months when you do SEO with white hat techniques (i.e. “legal” SEO practices), but Google will eventually trust your site more than other sites. So keep your site clean and make great content. 1. Produce content from reviews, not from product descriptions. To rank faster, you need to produce quality content. To do that, you can’t just re-write the description from Amazon’s product page. Instead, you should read the customer reviews and use them to elaborate on your points. If you do this, people will trust you more as you are listing the pros as well as the cons. But be sure you always choose products with many reviews (especially those with 4-star ratings and above). The second step to ranking faster is to continuously update. You need to update every article at least once a month. Read: Why you must edit old posts. And yes, it’s a headache, but it really works. A lot of my competitors are confused why I am ranking above them, even though I don’t have too many dofollow links and I have a much lower PA and DA. They don’t realize that there are several other factors that increase Google ranking. For instance, if you get backlinks from relevant niche sites, then that counts as a ranking factor in the eyes of Google much better than getting backlinks from sites in a completely different niche. Even if your link is nofollow, it will still help you in ranking faster because Google doesn’t ignore it completely. Updating your content regularly and fetching it with Google search console will make the Google bots crawl your post again and again. When you change or add some content, Google gives it priority over those that aren’t updated regularly. Note: When you update your content, also make sure that you change the date/time of update. 3. Use links with the keyword. The third tip is to use the exact keyword in your URL which you are going to target. I have seen that the URLs which have the exact keyword without alteration tend to rank higher than the others. And this is one of the strategies I use to rank my sites above my competitors. Yes, some of my links may be long, but they contain the exact keyword, and this method helps me consistently rank higher. But at the same time, make sure that if you are going to update the article with some new products, you should not include the specific name of any product in your URL. If you think that changing colors of ‘Buy’ links or optimizing images doesn’t affect the conversion rate, then think about every successful online business out there. 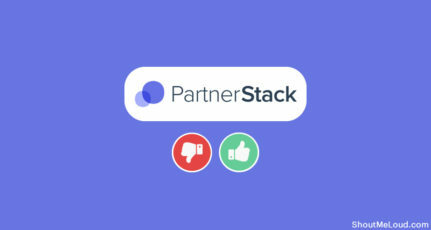 Why are colors like red and blue the most widely used colors in ‘Buy’ buttons? Why don’t people use pink or gray? When I first used black for my buttons, I got half the amount of clicks as I did with blue and red. Not only that, even the size of these buttons matter. The button size should not be too small so that a reader can’t see and not too large to fill up the whole width of your page. Instead, use a size somewhere between 200-400 pixels. Now, experiment by changing the colors around. Blue and red tend to have the most dramatic effects on CTR. ‘Buy’ buttons should not be the only place with links. You must use the affiliate links in images and text as well. Remember that when you use a product name in a paragraph, put a link in that particular product name which should redirect them through your Amazon affiliate link. Be sure you are using a catchy color for that text so that it attracts the visitor. You just need to get a click because that’s how you get the user to drop a cookie on Amazon. Amazon uses a 24-hour cookie to track your ID and gives you commission even if it’s not the same product as you promoted. 20% of the products I get a commission from are different than the products I promote. 80% of affiliates don’t use a link localizer, which is stunning, because you are losing a lot of money if you are not using one. 80% of my affiliate income is from the USA, which is pretty common for many affiliate marketers. But countries like the UK and Canada give good conversions as well. The point is that when a user from the US clicks on my link, it takes them to the US Amazon store. 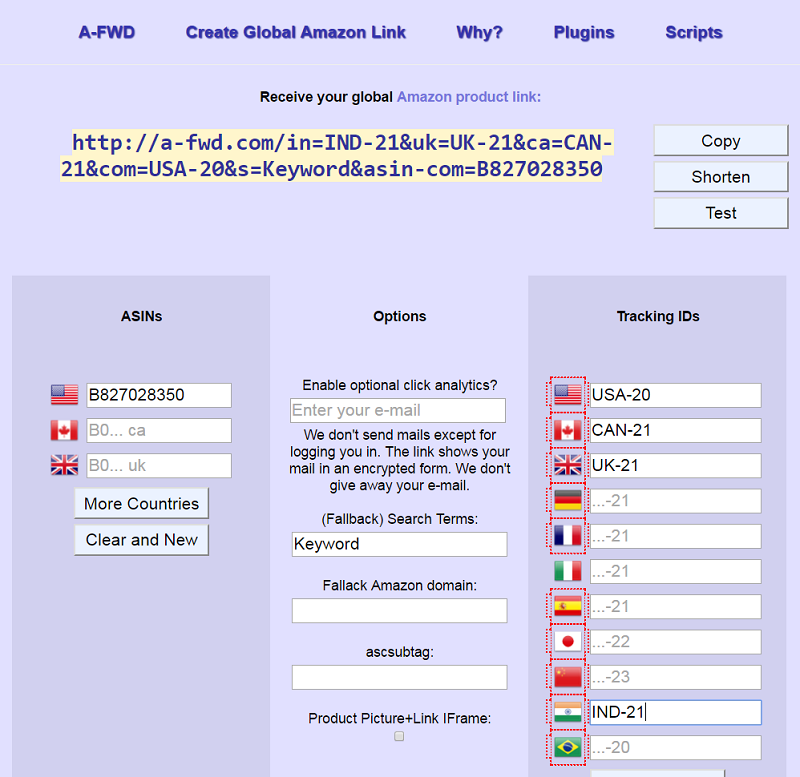 When a user from Canada clicks on a link, it takes them to the Canada Amazon store. Note: I use Payoneer for getting payments from the UK and Canada, and I am still figuring out whether I should get a check or direct transfer! LOL! But I can use that money for hiring a native English writer or do a gift card giveaway for Canadian people. You’re probably thinking that I’m using the EasyAzon plugin or something like that for link localizing. But no, I use a website called Affiliate Geo Target. You can also use popular tool call Geni.us that is used by ShoutMeLoud & other blogs. For using Affiliate Geo target, you have to fill in the product ASIN’s from the product page and the tracking IDs from each of the country’s Amazon affiliate dashboards. Doing that, whenever a visitor clicks the link, they will be redirected to their country’s Amazon store. This site will replace every 100th affiliate ID with their own ID, but it’s still a good deal because you were already losing a lot of money by not using it. But be sure the product you are promoting is also available on every Amazon store. If not, you should only fill in the Amazon.com’s product ASIN and use the Fallback Search Terms. Posting and praying that traffic will come doesn’t work anymore. It’s like throwing a party at the middle of jungle where no one known how to reach. You have to quality time promoting the content. Be sure you also use Quora and Reddit. On these platforms, it’s easy to post links and get referral traffic. But do this in a way that shows you want to help people. Don’t just go there and say, “Hey I have an article for you. Read this…. LINK”. Please don’t do that. These comments definitely make people think that you are being genuinely helpful. Note: You also need to be genuinely helpful. You can’t just pretend. I get a lot of “Thank you, Sarfraz” emails. Another promotion technique is to find relevant niche forums. Create accounts on them and start helping people. Whenever you find an opportunity, post a link with a phrase like, “This may help”. But you should create 10 or so replies or posts before linking to your website. Many forums will allow you to add your website link to your profile, and some of them may even be dofollow. That will increase your rankings for sure. In general, I’d say don’t focus on the competition too much. You will find competition in every niche, and it will be frustrating in the beginning, for several months or so, because you won’t get organic traffic. It may take even a year to get organic traffic if you just work 1-2 hours per day. Blogging is a process in which you have to work at least 6 hours a day, every day, to get results in just a few months. Don’t expect anything in just a couple of weeks. But if you start now with dedication, you can enjoy the money later on. And with dedication, you will get that money! If you have any questions or comments about Amazon Associates or how to set up your Amazon Associates account, please let me know in the comments, and I’ll be happy to help. Find this Amazon affiliate guide useful? Share it with your friends! For a long time now I’ve been thinking of ways to monetize my new blog. Thank God I got the email to read this post from Harsh. It’s so timely! I’ve read somewhere that opening a micro-niche blog is best for Amazon affiliate. What do you think? I might give it a shot. Thanks for your invaluable posts, as always. And thanks, Safraz for this one. You guys are awesome. thanks sarfraj for sharing such a wonderful article. It’s an amazing ultimate guide of amazon. Keep up the good writing. Thanks Sarfraz, loved reading your article. Very nicely explained and very helpful. Keep up the good work. WOW..WOW..Sarfraz. It’s really too good and very helpful to me. I have these questions – 1. someone has an existing amazon account and if he clicks on my link and buy, will i get the commission? 2. Can you show your site/blog with amazon products? 3. can you give me a successful amazon associate store link? Thank you very much for the valuable information!! Your article is very helpful. The income screenshot you shared is very motivating.I have 1 question regarding the topic. 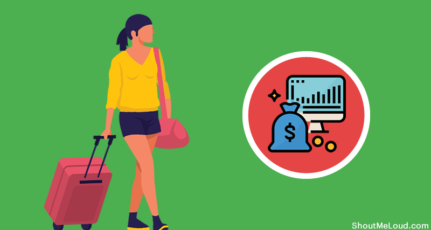 Is it good idea to use some pluggin like easy azon or azon authority and make a ecommerce style affiliate site with a blog in it or is it better to make a review site with affiliate links in reviews. Thanks for sharing such an informative post. 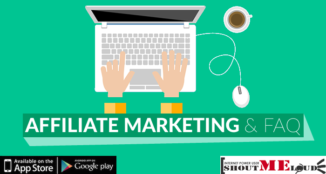 I really liked your writing style and detailed information about Amazon Affiliate. 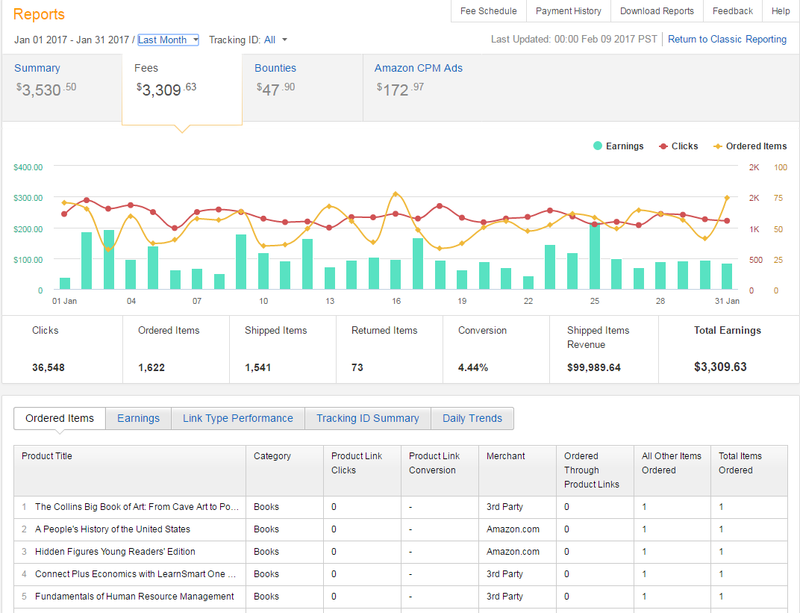 I have not tried Amazon affiliate marketing till now but after reading this post I think I must try it out. Hope it will work for me too. Just a quick question i have, what could be wrong with my website if none of the Affiliate links redirects my visitors to Amazon instead they open to about blank page of my own website? First of all, thanks for this article. This will surely help beginner bloggers like me to use Amazon affiliate marketing. In case, I find some issues, I will definitely seek your help. Amazing… I just want to ask one thing, i have amazon website but its links are not converting and not giving sales. I have seen all aspects, but nothing seems wrong from my side. Kindly give some suggestions to improve sales for my amazon website. 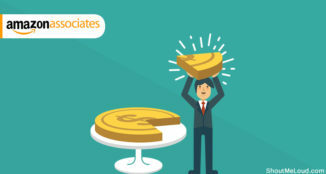 Do you think that super affiliates necessarily need to use PPC to power their campaigns? 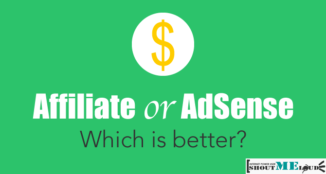 Or is it possible to make big money with affiliate marketing without using PPC? Very thanks for this post.I have few more doubts.From where do we get pictures of the product to promote on our website? Please let me know if this is a good idea to start affiliate marketing, and also for monetisation from google adsense.